For better or worse, Irish Folk Music (also known as Trad) is well known today throughout the world. It is a prolific oral tradition which has captured the attention (and the hearts) of listeners everywhere. While we can't say for sure when exactly it became an international phenomenon, the general consensus is that worldwide recognition of Trad Music was gained in the past 2-3 decades. Irish Folk Bands started to pop up in more and more places, raising awareness about the culture and history of our country. War songs, anti war songs, love ballads, songs about voyages, about life and unfair death, about bravery and manhood, about loss and cheerful drunken celebration... there are Irish songs about them all. 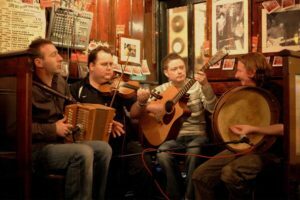 BOOKA Trad Band for that real Irish flavour at your next event.! Traditional Irish musicians have a timeless appeal and are perfect for almost any type of event. By far the most sought after type of music for corporate events in Ireland is Traditional, it just slots in with ease and guests love it. 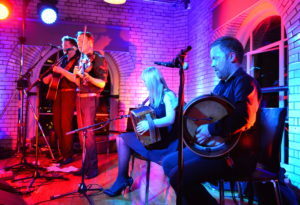 We are not talking ballads here, we mean modern songs played in a traditional style by Irish musicians. We find that combination a real winner as your guests will recognize the songs being performed and it adds a modern feel to the proceedings. Continue reading BOOKA Trad Band for that real Irish flavour at your next event.! 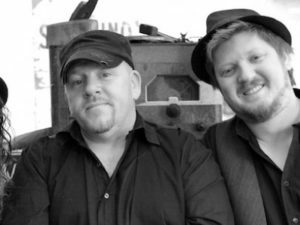 BOOKA Trad Band alows you discover brilliant live traditional Irish band’s who know their stuff about vibrant trad music. Best of all, you can book your perfect trad act right here, right now, without having to finalise matters via lengthy emails or phone calls, providing a stress free booking process. Of course from our end, we will take care of all the finer details, so you needn’t worry about a thing.